It’s winter in Argentina and Chile, and that means ski season has begun on both sides of the Andes. That said, last month’s eruption of Volcán Puyehue has complicated matters on the Argentine side in particular. 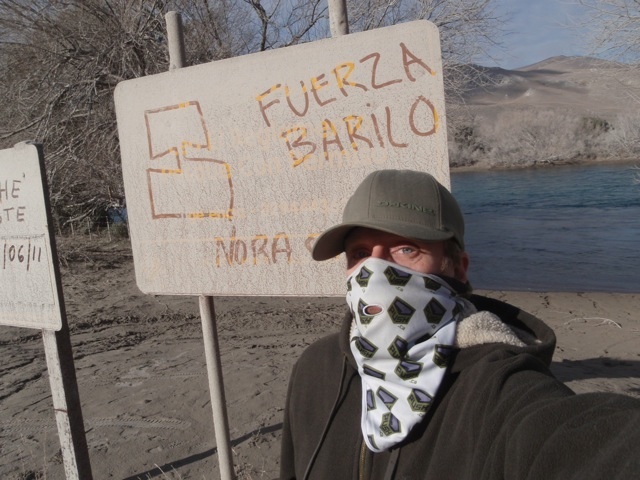 With that in mind, I asked David Owen (pictured below, in Argentina), who operates PowderQuest Tours and lives in Pucón, for an update on this season’s snow and skiing in the two Southern Cone countries. The photographs that accompany this post are his. WBB: In general, what are the conditions on the Argentine side? Is it a matter of snow v. ash, or is there no snow? David Owen: So far snow has been below normal on both sides of the Andes due to La Niña [climatic conditions]. In Argentina, Chapelco and Las Leñas are open, but with a thin snowpack. The good news is that La Nina apparently is tapering off, and the forecast for precipitation is showing a return to normal. Let's hope this happens quickly. WBB: Which ski areas are most affected by the ashfall? David Owen: Cerro Bayo [Villa la Angostura] has seen the worst of it. Cerro Catedral and Chapelco have seen much less ashfall. WBB: Are the problems on the Argentine side a matter of logistics, i.e. airports and flights, or is it the ski areas themselves? What about ancillary services (hotels, restaurants)? David Owen: Hotels and restaurants should be operating fine. Their visitor numbers are down 80 percent in June, but they are opening for the ski season. For Cerro Bayo and the town of Villa La Angostura, the problems are both deep ash and logistics. It is a huge mess over there. The Bariloche airport remains closed with a range of rumors that it could open as early as next week or as late as October. As for Catedral and Bariloche, the issue is more logistics of getting there. I visited the ski area and it had much less ash than the city, and the resort claims they will operate normally. The main issue is the ash on the ground and the winds. When the Patagonian winds pick up, ash and sand gets everywhere including your eyes and lungs. I was there for two days and was ready to leave. I think IF you can get there, AND you can stay at the resort base, it would not be such a bad experience, but staying in downtown Bariloche would not be a very enjoyable experience. WBB: How would you compare Villa la Angostura and Bariloche v. Chapelco? It sounds to me as if the prevailing winds pushed most of the ash east/southeast from Puyehue. David Owen: Villa la Angostura got the worst of it. There was close to a foot of ash on the road when I drove over there and everything is covered. Bariloche received much less but nonetheless, when the winds pick up, it causes issues. 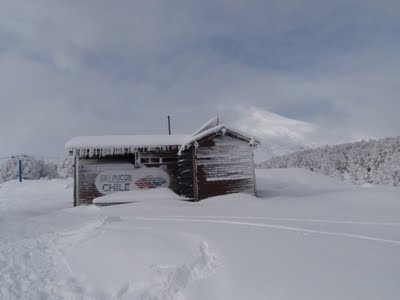 Chapelco (open for skiing) received much less than Bariloche and the town of San Martin de Los Andes just a dusting. WBB: Is there skiing at Esquel (admittedly harder to reach than Bariloche without flights)? David Owen: They plan on operating normally once they have enough snow. I also read that there have been some flights going into Esquel. WBB: Is Las Leñas, in Argentina’s Mendoza province, open? I presume it would be less vulnerable to the ashfall. David Owen: Las Leñas is open, and like the Chile ski resorts, has not been affected by ashfall. WBB: You told me you've moved all programs to the Chilean side. 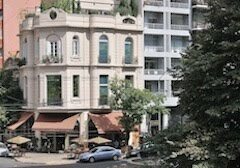 Will there be accommodations shortages because skiers will be coming to Chile instead of Argentina? If so, will this drive up prices? Will skiers have to stay farther away than usual, e.g. in the city of Chillán, rather than Las Trancas valley, for the Nevados de Chillán ski area? David Owen: We moved all programs to Chile and Las Leñas after my visit to Bariloche last month. There will certainly be shortages in lodging, especially for July and early August and people doing late bookings might expect to stay further away from the resorts due to high demand. We have not seen prices go up at all. WBB: Are flights into Santiago from North America operating normally? David Owen: So far yes, flights are operating normally. There have been a few days with delays and cancellations, but more in Buenos Aires. Flights to southern Chile (Temuco and Valdivia) have been seeing cancellations when there is a wind direction switch to the west and north.